Valencia's preparing for the arrival of 629 migrants on Sunday. It's after Italy and Malta refused to let them dock last week which started a political row. Three ships now travel for several days to get to Spain. At a press conference with the President of the Valencian Community, the Deputy Prime Minister Carmen Calvo made everything clear. 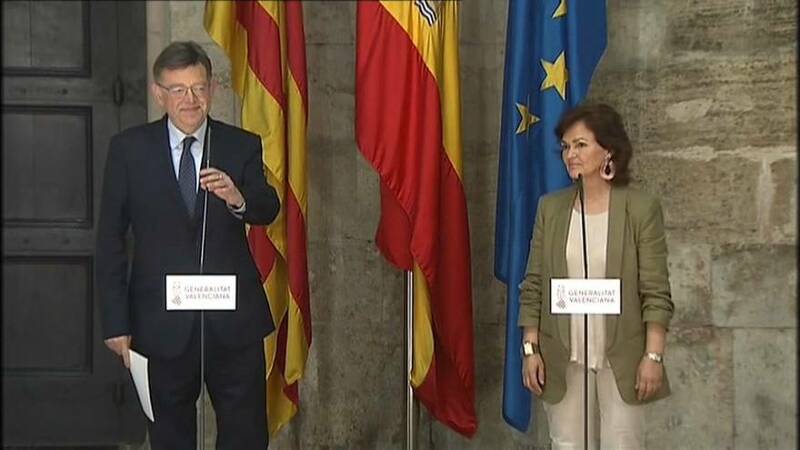 Deputy Prime Minister of Spain, Carmen Calvo says, "It is a humanitarian crisis. It is a response to our international obligations, to what our constitution obliges us and to our fulfillment of our commitments in the field of International Law. When such a situation occurs, it's respect for Human Rights as well as our obligations towards all people coming to our country. We are a country with experience in the social policy of foster, housing and help ". The Spanish Government and the Valencia Region are coordinating the operations to receive them in a positive way after such a tough time. Deputy Prime Minister of Spain, Carmen Calvo addes, "They will arrive in a phased manner, and all the parties will be involved in the reception, in a respectful way, in a welcoming manner, with a complete response in a physical sense, but also in the psychological sense, when they arrive to the port of Valencia... it has been done in a staggered way to have enough time to give them a healthy response and the legal response".